Sorry, that link is a bit..., strange. Don't know why I gave you that! Try google instead: How do I unzip a file? Works very well with the mirror plugin. You still can't unzip a file after reading those links? 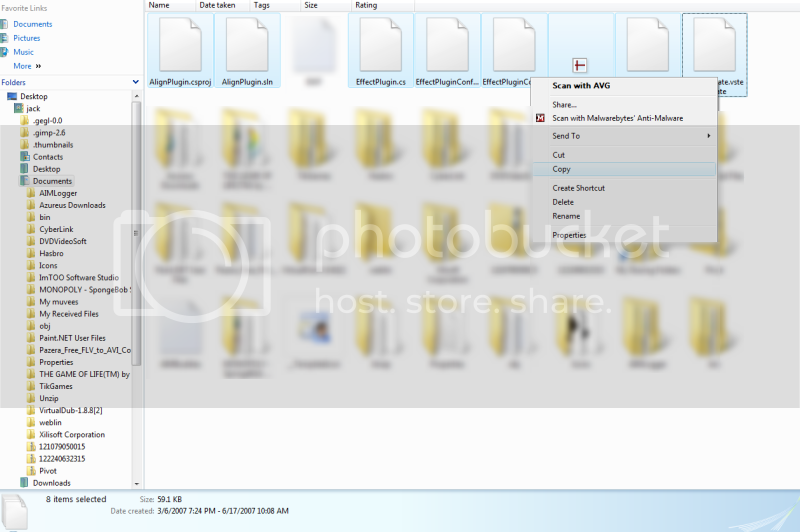 Could you right-click on the zip file and post a screenshot of what you see? See where it says "extract all"? 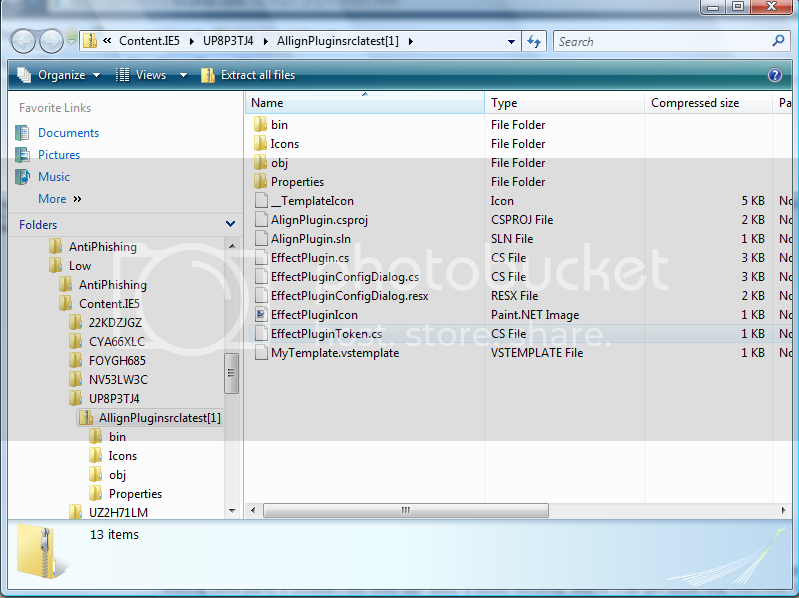 That's the option you need to select to extract (unzip) the compressed files. It doesn't matter what you type in there, in fact the default location (My Documents) will probably do. 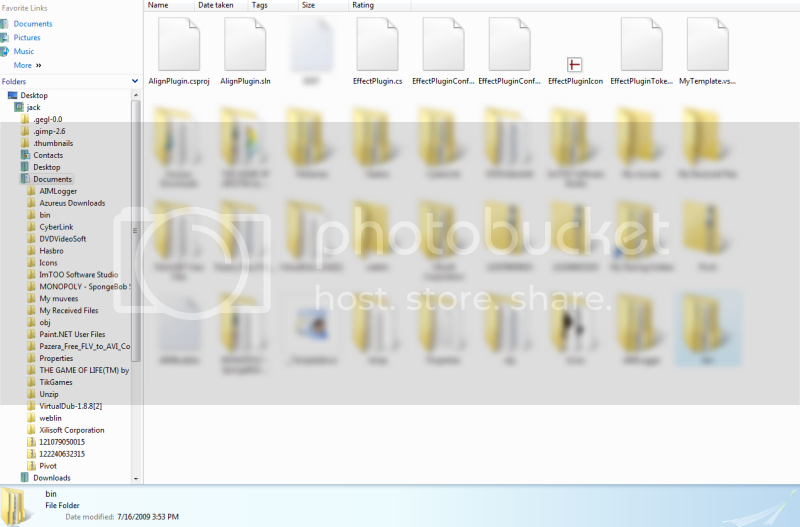 The reason is that once extracted, you're going to move the files into the Paint.NET/Effects folder. You certainly don't need to type in a filename, just pick an existing folder (like My Documents) and extract the files to there. 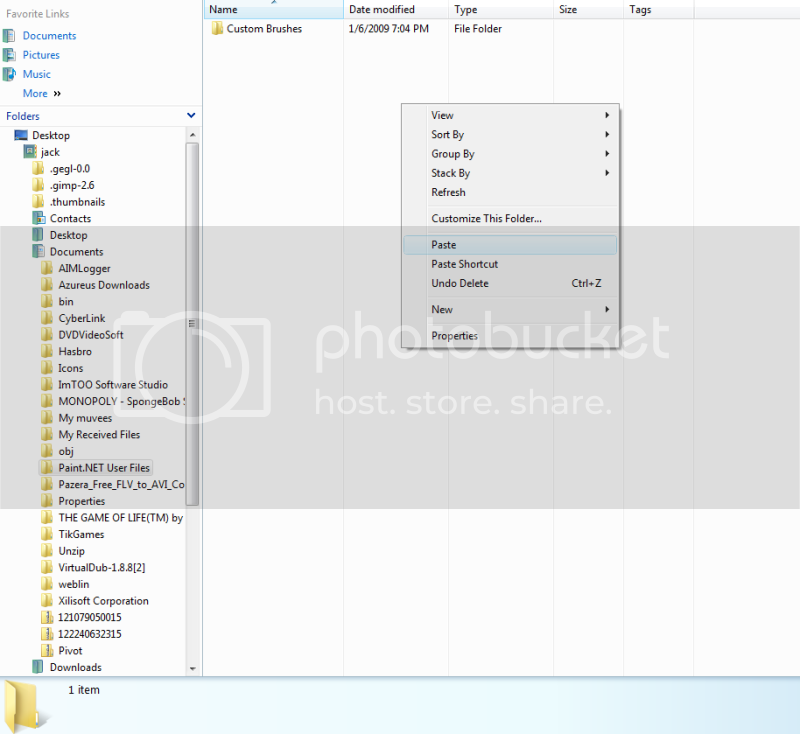 The one caveat is that you need to be able to find your way back to the folder with Explorer in order to move (or copy & paste) the files to their intended destination. 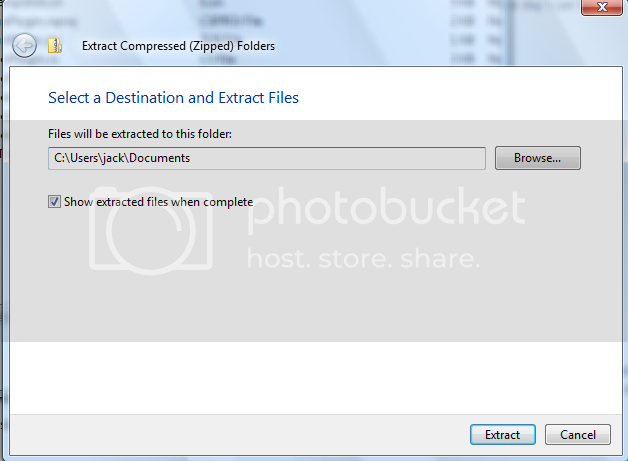 But if you check "show extracted files when complete" it will be opened for you. Still not working, I'll post a step by step of what I'm doing..
1st: I download the source because I can't download the dll.. Whether you can download the DLL or not downloading the source won't do anything for you unless you know how to compile it. Also, why are you extracting to Paint.NET User Files instead of Effects? You're downloading the source, when you need to be downloading the DLL. In your first image, the link you want is 2 lines above the one you are clicking. Looks like it isn't ZIPped, so you won't need to unzip it. Just download and place in the /Effects folder. i cant because when i push download dll that pops up and I press ok and it shuts it out.. Right, judging by the ScreenShots you have provided, i believe that you are attempting to open the file, instead of saving it. When you get a message asking you to save or open, select Save and then choose where you want to download it to, then move it into the Effects folder. Actually, given that you're using Vista and presumably have the UAC enabled, save it to "my documents," open it there and copy it to the Paint.NET\Effects. This thread has wandered on and off topic quite a bit, so I'm taking the opportunity to work with Chris_Rulez via PM's to try and work out his difficulties. I don't believe we're gaining anything by repeating ourselves ad nauseum, and adding little to this plugin thread either. Love the plugin! But ever since I installed Windows 7, I forgot to backup my plugins, and I'm trying to get this, but the DL link doesn't seem to be working. It times out. :? moc426, your download links are broken links (they're not working).